베니스, 이탈리아의 카사 인 라구나 | 호스텔월드에서 예약하세요. 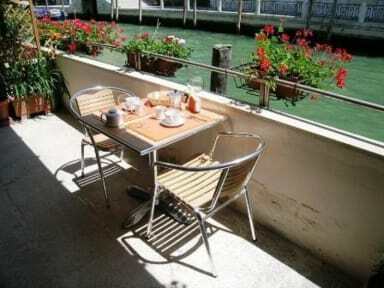 It is situated in a lovely area still inhabited by genuine Venetians and has a unique atmosphere. Here, from the balcony of your room, you can admire the unspoiled magic of the canals and enjoy a spectacular view of the lagoon (only the Superiors rooms have a balcony). In the B&B there are two types of rooms, Standard room or Superior room, both with ensuite bathroom but only the Superior rooms have a big balcony with canal view. The B&B is only a few minutes away from Campo SS. Giovanni e Paolo where you can visit the largest church in Venice (the 'Pantheon' of the Doges). After 20:00 check-in is not allowed.